It is our wish that it should be simple and safe to make your purchase with M925. The minimum age to shop in the webshop is 18 years. If you are under the age of 18, you may shop only with your parents’ consent. You just have to state this and enter their email address in the space provided in “Check out”. Fixed International freight cost 39 SEK, irrespective of the value of your purchase (approx. 4 Euro/4 Dollar). Within Sweden the freight cost is 29 SEK. When your order is placed, you will immediately receive confirmation to the email address given in your order. If no confirmation is received, the email address given may be incorrect or the purchase has, for some reason, not gone through. Check your spam box in case no order confirmation is received, otherwise, contact me on magdalena@m925.se or phone +46 31-3157979. We always try to deliver your order as soon as possible. However, the delivery time can vary due to workload, access to materials, etc. The current delivery time is shown in the speech bubble to the top right of the webpage. Please note that international sendings often take one week to reach you. If you have paid your order but regret your purchase, you will receive the refund to the same card or account you used. When we have approved a return, the amount will be automatically refunded. Please note that all orders include VAT. We are currently not able to exclude VAT, unfortunately (due to technical limitations in the webbshop). 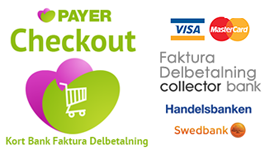 According to Swedish law, customers have the right to 2-weeks purchase on approval. As an International customer, we give you twice as long because of the longer delivery time. Please note that this does not apply to custom-made jewellery such as personally engraved and oxidized pieces. Should you regret your buy of a non-engraved piece of jewellery, you can return the unused piece to us within 30 days, together with a filled-in return form. Note that the customer pays the return freight/ postage. Note that the return of payment only applies to the piece of jewellery and not its freight. It is possible to exchange the jewellery ordered within 30 days, providing it has not been used and that it is not custom made (engraved etc.). Send your piece of jewellery to us and enclose the filled-in return form. The new piece of jewellery will be sent to you as soon as possible (1-2 weeks). The customer pays return postage and postage for the new piece. For any complaint use this return form. Please send it to us together with the piece of jewellery in question. Please state order number together with a detailed description of the problem. We will answer your complaint as soon as we receive it. The complaint must be made within six months of the date of purchase. Normal wear-and-tear is not accepted as a valid complaint. You will also not get a refund if you are allergic to silver. Use the same envelope if possible, we don´t pay you back for eventual envelope costs. All pieces of M925 jewellery come in a wrapped jewelry box included in the price. If you have any questions, please contact us at magdalena@925.se Phone +46-313157979. You are of course also welcome to visit us in our own workshop and jewellery boutique M925 Design: Plantagegatan 13 in Linnéstaden, Gothenburg, Sweden!